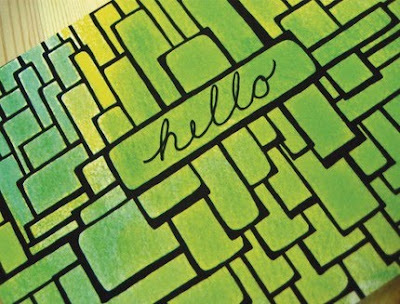 Giveaway Alert: Wanna win a Jelly Roll? Here is a beautiful Jelly Roll....you wanna win it? Click on the picture and follow the instructions. You gotta love this new world....the world of the Bots. 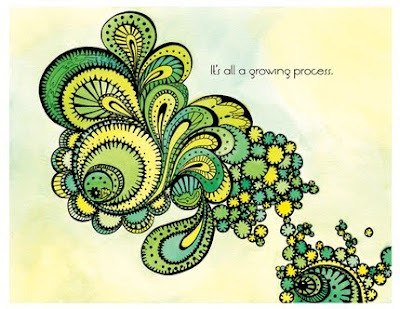 I truly enjoy being connected to "sew" many wonderful people....this has opened my heart and mind in ways I never expected or could have even imagined. UPDATE 11:09 9/30/09 CMT: Lots of folks have heard from Barb and she is fine.....I'm sooooo glad to hear....thanks to all who wrote....funny how our families grow through this here bot. 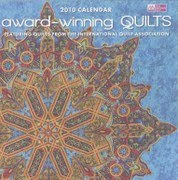 I'm sure many of you know Barb "BEJEWELED QUILTS BY BARB" she has four sons and lives in American Samoa. She comments regularly on my blog and I'm very worried about her and her family. If anyone hears from her....please, please, please e-mail me so I know she is ok. I'm off to a medical appointment with my husband so I'll be away from the bot....please let me know by e-mail at IHaveANotion@yahoo.com or by leaving a comment on my blog. THE OTHERS LOOKED AT HER QUESTIONINGLY. 'THAT WAS MY PAGER,' SHE SAID. I HAVE A MICROCHIP UNDER THE SKIN OF MY ARM. SHE RETURNED WITH A PIECE OF TOILET PAPER HANGING FROM HER REAR END. THE OTHERS RAISED THEIR EYEBROWS AND STARED AT HER.. 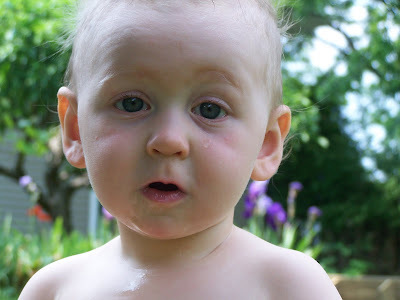 THE OLDER WOMAN FINALLY SAID..........WELL, WILL YOU LOOK AT THAT.....I'M GETTING A FAX!! My Mother sent this to me.....it had me laughing out loud and wanting to share it with other fun gals....I hope you laughed. My problem is my mind won't stop here....I keep thinking of other things to say and do in addition....but you know...for tonight....I'm going to bed. Anything that is bright and different usually catches my eye. I love fun new things. 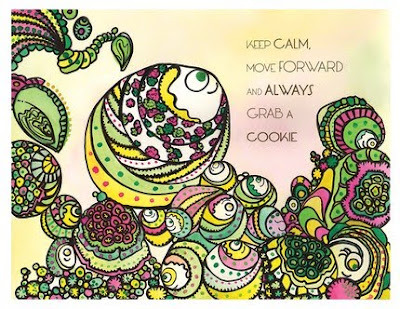 I found these greeting cards and prints by Paper Squid and I've added them to my store today. You know I love this one....it is just too good. When I was at the Needle Arts Guild of Toledo show on Friday I started a new project. I was inspired by seeing someone else working on a Halloween pattern. So I pulled my Lizzie Kate pattern out and started working on it. This is my first little square. Isn't it so darn cute? I just love it. Punchneedle is so much fun....it goes quickly and the sky is the limit as far as designs go. I wanted something fun that the boys could enjoy. They love watching me punch. Zach and Aaron have both practiced punching with my punchneedle. They punch for a few minutes....then they are off to do something that makes noise!!! The Business Expo was fun. I got to see several peoples work and shops. What fun. I even found a new supplier for gift cards. 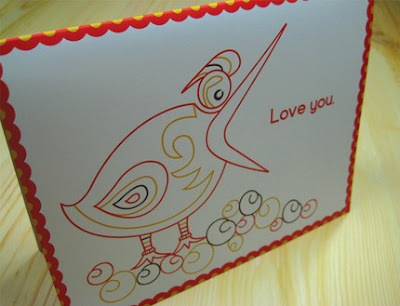 I'll be adding those to the Gifts section of I Have A Notion tomorrow. 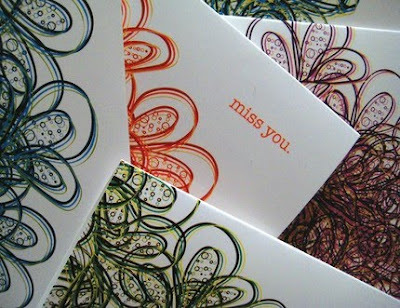 I'll post about them so everyone can see these really fun cards. If you stopped by and left a comment about at least 2 items you liked in my shop your name was entered into a drawing for a sew of Bag Tags. 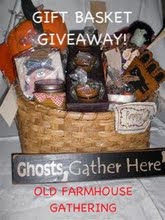 Congratulations Linda Atkins....you are the lucky winner!! Please e-mail me and let me know your favorite colors. I'll make you a set of bag tags and put them in the mail to you. My thanks to everyone who stopped by....I enjoyed your company and comments. I hope everyone has had a wonderful weekend. I was participating in a Women's Business Expo and I have not been able to figure out how to leave that post on top and then have my daily posts below....so I just did not publish a blog entry. Guess I better learn some new tricks here soon. Today was my day with Zach. We try to have one on one time with each of the boys weekly. Today Zach wanted to go to Chuckey Cheese. Here he is in all of his glory....happy as a lark. We had a great time. This is a project I've been working on. It is going to be a business card holder that I'm going to be giving as a gift. I'm not very confident about my color choices and beading. I've played with the lay out over and over and over. So I thought I would post a photo and see what everyone else thinks. Do you like it? What changes would you make if any? Some of them are not sewn on yet....as you can see. I just want to get some feedback so I can feel confident about sewing on the rest of the beads. Welcome to I Have A Notion blog. 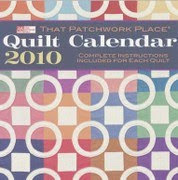 I sell sewing, quilting and needle art supplies to the thrifty shopper. 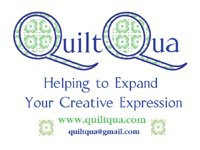 Weather you are a seasoned stitcher or new to the needle arts and quilting, I can help you with the notions you will need. My name is Kelly Jackson and I work from home. The best part of my job is this blog. My goal here is to inspire others to continue with their arts and crafts and educate people about the necessary supplies. Ever waste money on something you thought looked great.....but then it did not work so great? That's my job, to troubleshoot and test the new products and notions on the market and share my opinion and experience. Meeting the fabric designers, pattern designers, company representatives and authors of the books I sell is another fun part of my job. I get to meet with people like Nancy Zieman, Alex Anderson, Eleanor Burns, Edyta Sitar and Amy Butler just to name a few. Only those comments with e-mail addresses attached will be qualified for the drawing. The winner will be announced on Monday. Thank you for visiting....you are welcome to come back anytime for a visit. I love meeting new people and being inspired by new ideas and projects. Click on this button to get back to the Expo!!! Enjoy, Enjoy, Enjoy!!! 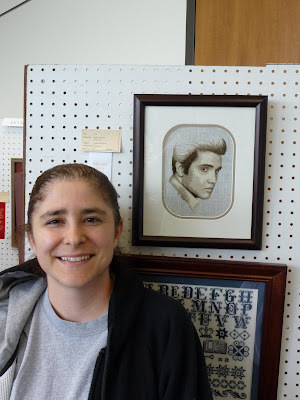 Today was the first of a two day show at the Toledo Lucas County Public Library Sanger Branch for the Needle Arts Guild of Toledo. If you are local and can make it tomorrow.....it is an excellent show and well worth the drive. 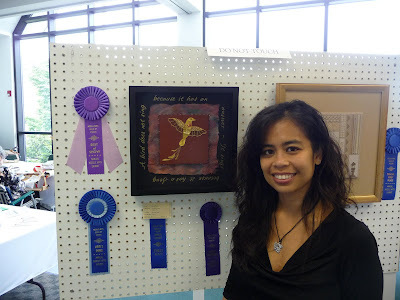 Peverley received several First Place Ribbons for "Bird in Flight." 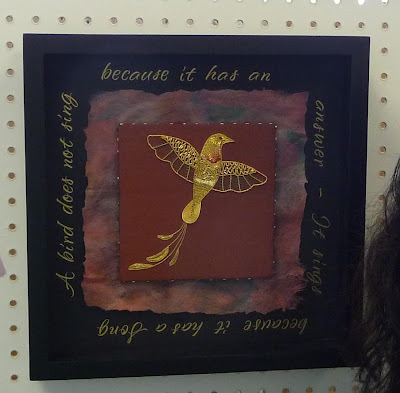 She was given First Place in the Silk and/or Metal Category, Best in Show and the Judge awarded this piece a Special First Place Ribbon for exceptional work. Peverley used different types of metal threads including check purl, Jaceron, plate, Japanese gold, Torsade and braid. The ground fabric is silk and the eye is a small crystal bead. Peverley used hand made silk paper as well. The lettering was done using press on letters. Congratulations Peverley!!!! I'm so excited for you :) Your work is absolutely beautiful. I entered a few of my pieces into the show. Typically when I go to a show I think to myself....I would never enter my work....it is not show quality. This time I entered some work hoping others might see you don't have to be an "expert" to enter your work. 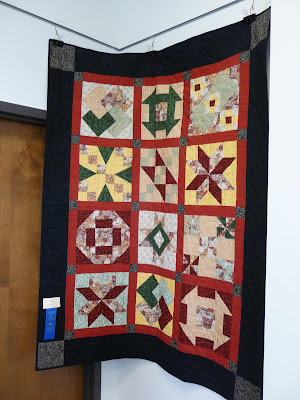 Not in one million years would I have ever expected a ribbon....and guess what....I received a 3rd place ribbon in the Quilting category for my Hawaiian Applique Wall Hanging. 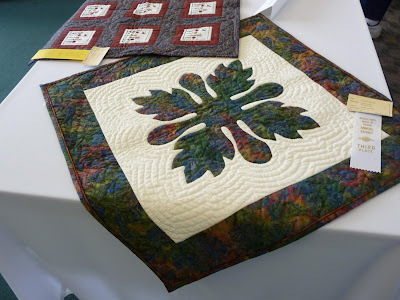 I also entered the very first quilt I made, "Many Hands." 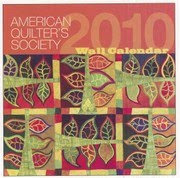 My girlfriend, Mary Jane Ehlich, did the hand quilting and that was the category it was entered in under her name. 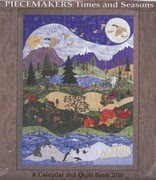 I think Mary Jane does beautiful hand quilting and she gave me permission to enter the piece. Guess what? She took a First Place Ribbon for her hand quilting!!!! Congratulations Mary Jane!!! There was one other piece I received permission to photograph. This is "Elvis" by Pamela Lungulow. She was given a Third Place Ribbon in the Counted Cross Stitch Category. Congratulations Pamela!!! This is a very cool picture of Elvis. You just never know where the King of Rock and Roll will turn up next. The Harrison Rally Day was held last Saturday here in Perrysburg, OH. The Perrysburg Area Arts Council hosts a Rally for the Arts. There is a parade in the morning and the kids just love it. Candy is thrown and the children scramble to put candy into their little bags. Local politicians and social groups come together and parade down the street. Bands and dance troops come as well. Local artists, businesses and social groups have booths as well. 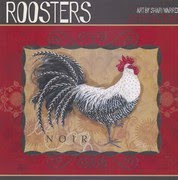 I met Lois Morgan, Cut Loose Designs, that Saturday. Lois has knitted fabric to make some fun bags. She is a jewelry designer and sells her work to galleries. The bags were something fun Lois did for the Harrison Rally Day. 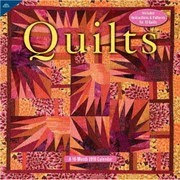 She sells patterns and kits as well. If you are interested please e-mail me at IHaveANotion@yahoo.com and I can put you in touch with Lois. I think this is an excellent use for salvages and thin strips of left over fabric. As usual, this photo does no justice to how nice this bag really is. The best part of the parade for me were the Way Public Library Ladies. I've never seen this done before and I absolutely loved it. The ladies were pushing their carts in the street....then to the music...the did a formation and pushed their carts like the Shriners do their little cars. I really laughed and smiled. That is my kind of entertainment and humor. Then of course the boys had their faces painted by two very talented ladies. Here they are with their friends. I had to post this one of Aaron. Down the street comes the Fire Dog and Aaron walks into the street with his arms wide open wanting to hug the Fire Dog. Rick and I had a great time and enjoyed the day with the boys and friends. Interesting life isn't it? Beautiful music!!! I hate fruit flies....they are a real annoyance and getting rid of them has been difficult. I've tried spraying them....no go....putting out apple cider vinegar and that did not work. I'm able to catch only a few and they are still in my kitchen. So what does Kelly do to solve her problems? You got it....I Google it. I found a solution and I'm so excited I thought I would share it with everyone else. I cut a piece of banana and put it in a bowl. I covered it with plastic wrap and poked holes in the top. The fruit flies go in....and don't come out too easily. I can approach the bowl with a magazine and cover the top. Then I take it outside and let them go. I think I've caught 50 today. Nasty little buggers....back outdoors where they belong. 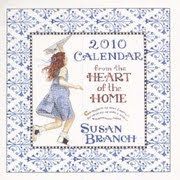 I guess I mention these first because I love Calendars. Some of these even have patterns included....really makes the price extremely reasonable given you get two gifts in one. Last year, my girlfriend and I decided to restrict gifts to things that have been previously used, purchased from a garage sale or rummage sale, re-purposed items, handmade/homemade things and things we got free. We had the best time thinking of wonderful gifts like these. I know it is not the best thing for the economy right now....but why not try it for yourself? I gave Rachel a beautiful nightgown....it was really pretty. She opened the gift and was just thrilled....then I said....how much do you think I paid for that....(she is like me....gets a huge charge out of paying almost nothing for something wonderful)? I paid 1.00 at a church rummage sale and the tags were still on it. I could have and would have easily paid 40.00 for the nightgown....but I loved giving it to her and I paid 1.00. This makes the gift giving adventure more thoughtful....because you have to search high and low to make sure your gift fits into the category. I'd love to hear your experiences like these....or if you decide to do this as well....please leave a comment and if there are enough....I'll publish a chapter on fun gift giving ideas. 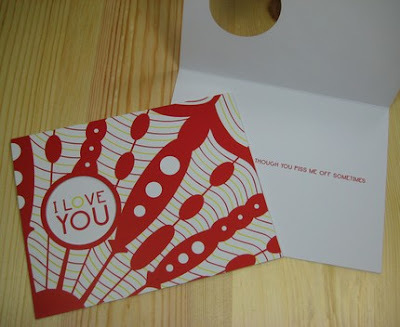 PS....did you know I Have A Notion has a gift registery and gift certificates? We do!!! Today my post is not about sewing, stitching, giveaways.....I want to share the experience I had yesterday with you. I pride myself on using all recycled boxes and bubble wrap for my business (unless priority post is needed). I get some of my boxes at the recycle center where I take my things. Yesterday I happened to look into the paper bin and what I saw shocked me. Someone had dumped Sue S.' paper life into the dumpster. There were check books, life insurance policies, car titles, rental agreements, previous years tax filings....you name it and it was in there. I imagine this person has passed away and whom ever is taking care of her "business" felt it necessary to put it into the recycle bin. I pushed all of her personal data to the back of the bin and attempted to cover it up with other newspapers. I could not help but take these items and some letters that were hand written. I feel sort of dirty taking them on one hand....on the other I feel like I've resuscitated a part of Sue that did not die (as I am assuming). The journal is a cookbook. There are lots of hand written recipes dating back to 1916. The pages have flour and sugar inside stuck to some of the pages. I could not just let that go....I'm not sure why....but somehow I felt it had to be saved. I sort of felt panicked in a way....like this ladies life was about to be made into more paper without any of her history being preserved. Isn't there someone to whom cares about this woman today? I don't know....perhaps I'll find out....perhaps I won't. I almost forgot....shame on me....to share with everyone the beautiful print my husband bought for me at the Perrysburg Fine Arts Fair a few weeks back. 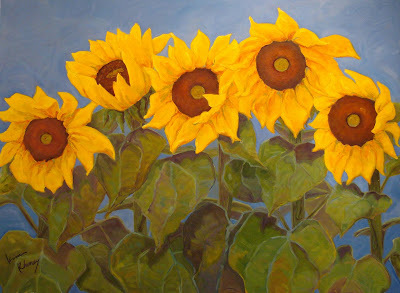 The artist is Kim Rhoney. Here are some photos I took that day. The brilliant colors really grabbed my attention. 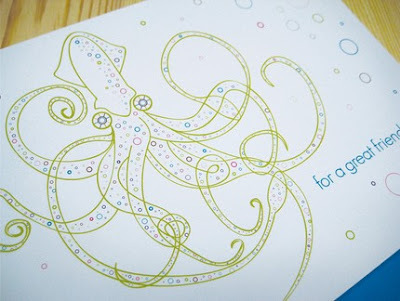 If you like vibrant colors you might enjoy a stroll through her website and blog. This is Kim. I enjoyed talking to her....and she has little kids too. She can relate to working and managing/enjoying the "co-workers." I had a very hard time choosing between the red background and the blue. I love them both....actually....I loved them all. This is Theresa Malik and she is a Woolen Artist. Theresa uses natural and dyed dorcet sheep wool to make her beautiful designs. She has a shop on Esty. Who would not love one of these this Winter? I must say it was great to see her make this little fella. She is a very talented lady.....and she was so kind to allow me to take these photos to share with you. So much happens I get the cart and the horse all mixed up sometimes. I had intended to publish these pictures weeks ago....oops!! Toledo Needle Arts Guild "Get It Finished"